Partner-Login - for partners and support cases: The new version enables organizations to add partner logins from another Office 365 tenant as Delegate365 Administrators as well. This is helpful for partners who want to manage multiple Delegate365 customers with their own Office 365 login. Also, this feature can be used for support cases. In case of an issue, a Portal Admin can add the vendor or partner with his own User Principal Name to the Delegate365 Administrators list. The support engineer can now work in Delegate365 with the defined permissions. 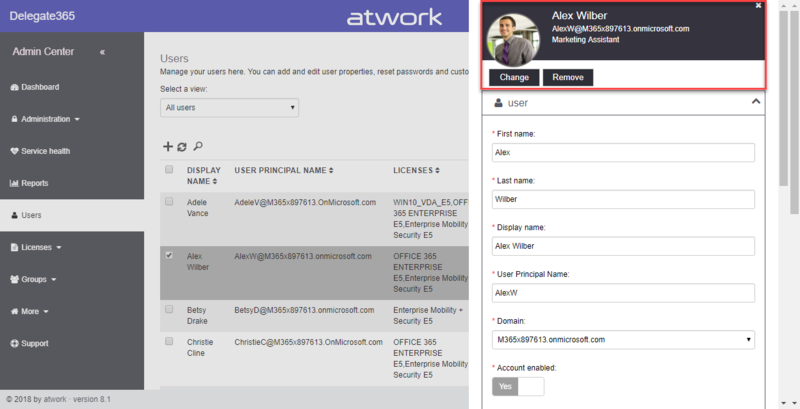 When the support case is closed, the external partner login can be removed (or the Admin permissions can be removed). 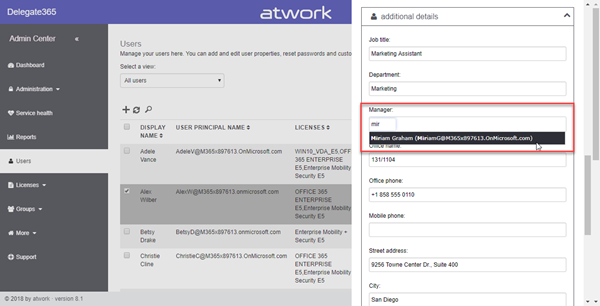 Partner-Login - How to add external Administrators: Portal Admins can define the Delegate365 Administrators in the administration / manage administrators menu. 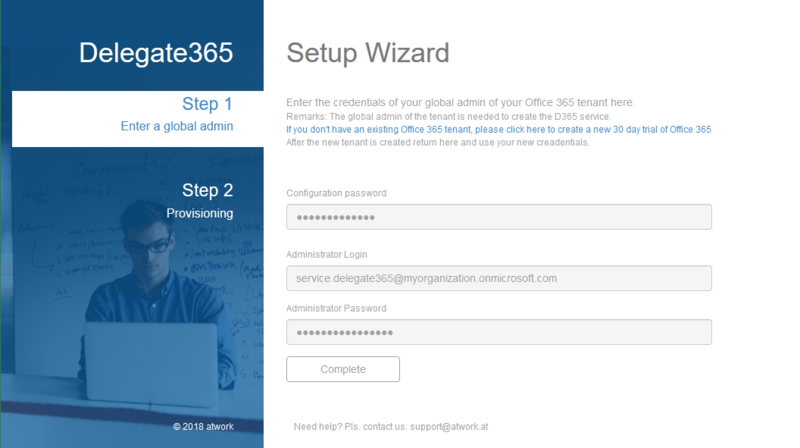 Now, additionally to users of the own tenant, any other Office 365 email address can be used as Delegate365 Administrator. Simply type the external email address into the User Principal Name field, that's it. The people picker understands internal and external addresses. 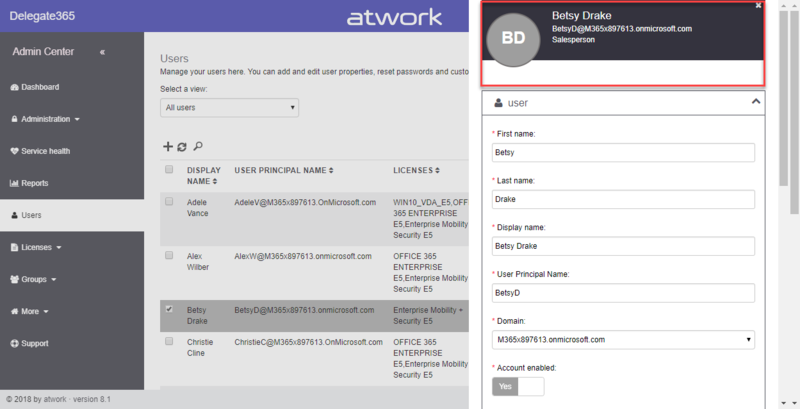 The following screenshot shows another work account (...@atwork-it.com) that is not existing in the own (...@M365x897613.onmicrosoft.com) Office 365 tenant and is added as Scope Administrator in Delegate365. 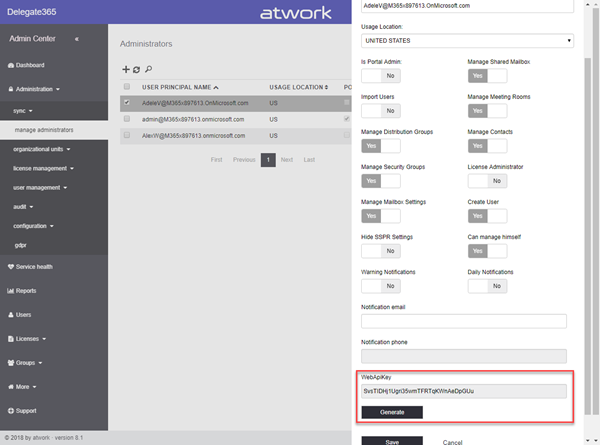 Portal Admins find this module in administration / configuration / extensibility. In here, the topic and the AccessKey of the Azure Event Grid must be specified. Below, the whole trigger system can be set to Active Yes or No - to configure it and set it active or inactive easily when needed. The switches trigger sending an event to the Azure Event Grid when the Delegate365 sync operation runs. Currently, these events are supported: Create user, Delete user, Update user, Sync Start and Sync End.